Discussion in 'Supplier' started by VitoriaRi, 7 Nov 2018. Want to win's a RFGVape Flavor Puzzle Kit for free? 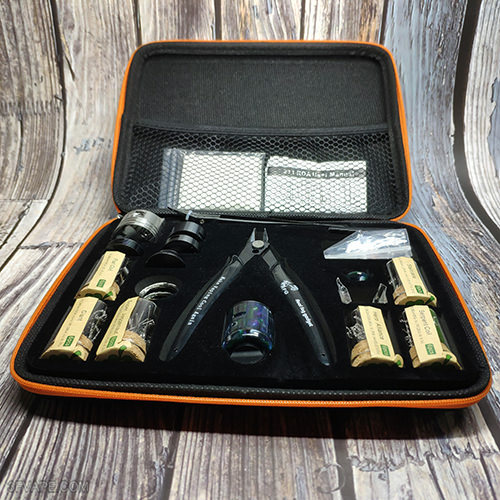 Enter the RFGVape 2+1 RDA Flavor Puzzle Kit Giveaway Now >>> 1 winners will be chosen randomly. If you can not wait for have this item, you can also order the RFGVape 2+1 RDA Flavor Puzzle Kit directly on 3FVAPE. Don't worry,this time we present to you the RFGVape 2+1 RDA Flavor Puzzle Kit unboxing video. 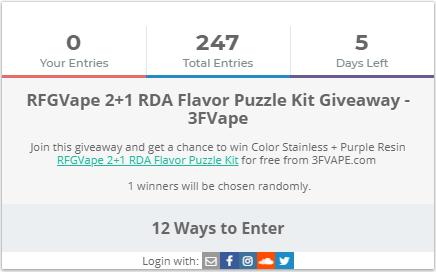 After 5 days of giveaway activities,the RFGVape 2+1 RDA Flavor Puzzle Kit Giveaway is finally comes to an end. 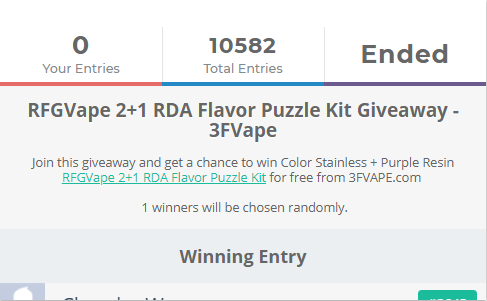 It's a great honor to be here to publish the final result of the RFGVape 2+1 RDA Flavor Puzzle Kit Giveaway. Today let's check the Real Scene Photo of the RFGVape 2+1 RDA Flavor Puzzle Kit - Black + Black Resin.